Mangaluru, Jan 19, 2018: Mangaluru University (MU ) is battling ’Kannada Prema’ (love for the language) from its research scholars. This is apparent from the fact that most research scholars - especially from the humanities and management streams -- are increasingly seeking permission from the university to submit their thesis related work in Kannada. 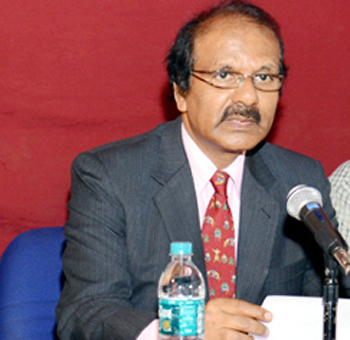 This number has grown exponentially over the past few years and such requests are in "hundreds", said VC K Byrappa. However, the reason for the spurt in such requests, on closer perusal, shows it is not love for Kannada but the inability of anti-plagiarism software employed by the university to scan through theses in the lingua franca. With UGC and the Karnataka State Higher Education Council taking a dim view of plagiarism in research work and making use of the software to detect such ’cut and paste jobs’ mandatory, students too are trying their best legally to circumvent the system, the VC said. This issue came to the fore thanks to a seemingly innocuous query that Nandini Bharath Patel, an MEd student and member of the academic council of Mangalore University raised at the third general meeting of the council on Thursday. Nandini said plagiarism affects students and faculty alike, and does not facilitate serious and meaningful research to be carried out at the university, starting with dissertation, topics and matter for which are cosmetically altered each academic year. Byrappa admitting that this is an issue that affects not just the students but one that puts a question mark on the professional integrity of research guides as well. "While software deployed by the university takes care of attempts to plagiarize research work in English, it hits a roadblock when the same is presented in Kannada," Byrappa said, adding that the university has received hundreds of requests from research scholars to present their findings in Kannada. Hinting that this could be a ploy to get past the software, Byrappa said it is also a fact that the number of research scholars in various faculties has grown nearly four times -- from 340 when he took over 42 months ago to more than 1,250 now. While this is indicative of the research bent of mind in the university, that has seen a significant rise in its H-Index to 61 which is expected to touch 70 sooner than later, Byrappa said any and all such research should be original to be meaningful.